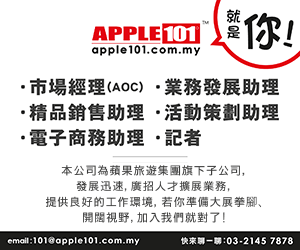 (L-R) Apple Group Managing Director Dato’ Sri Koh Yock Heng (Koh San), Apple Group Executive Chairman Dato’ Sri Lee Ee Hoe JP(Lee San), Malaysia Airlines Head of Charter Business Mr Proteek Sengupta, Malaysia Airlines Asst Manager of Charter Finance & Admin Ms.Hasnah Abd Hamid. 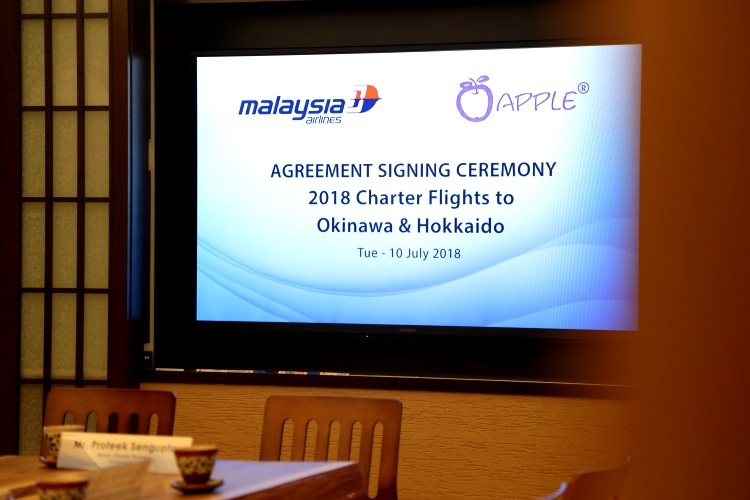 Kuala Lumpur, 10 July 2018: Apple Vacations & Conventions Sdn Bhd (AVC) today signed an agreement with Malaysia Airlines Berhad (MAB) to operate its Inclusive Tour Charters (ITC) to the ever-popular destinations of Okinawa and Hokkaido, Japan, to cater to the growing demand of Malaysian passengers for the 2018 year-end holiday season in November and December. 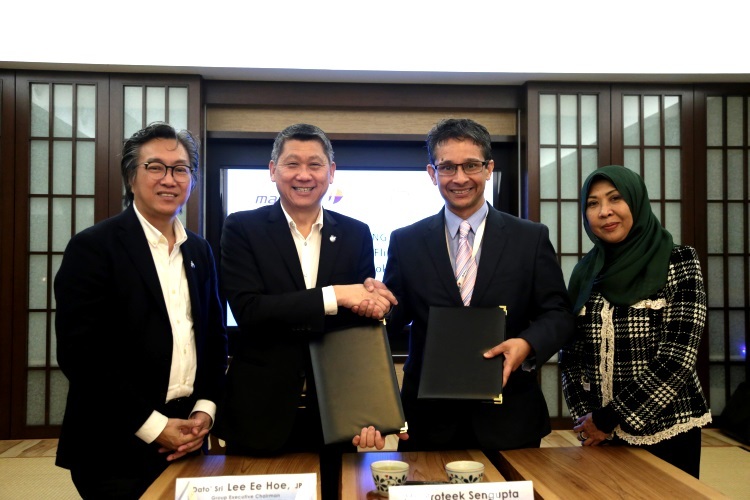 The agreement signed at Wisma Apple by AVC’s Group Executive Chairman, Dato’ Sri Lee Ee Hoe and Group Managing Director, Dato’ Sri Koh Yock Heng, and MAB’s Head of Charter Business, Mr Proteek Sengupta and Asst. 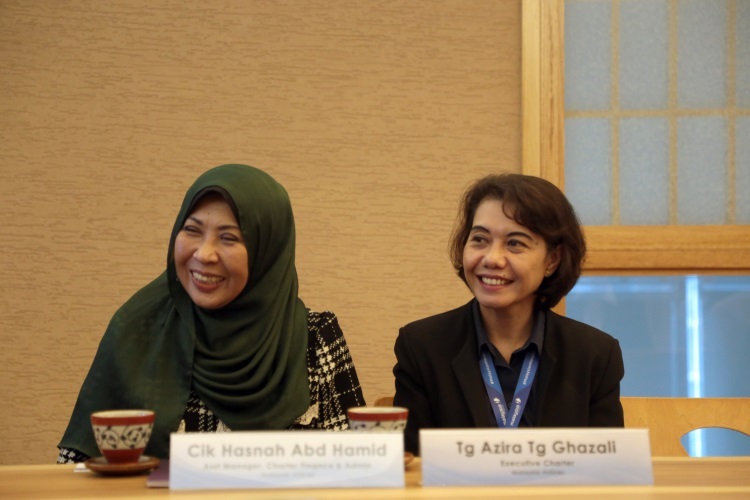 Manager, Charter Finance & Admin, Cik Hasnah Abd Hamid, will see Malaysia Airlines operating a total of six (6) roundtrip charters to the two points in Japan utilizing the airline’s A330-300 widebody aircraft that can accommodate 26 business class and 260 economy class passengers. 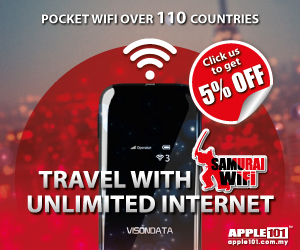 Apple Vacations, a pioneer in charter flight offerings in Malaysia, has been organizing the ITC to Japan using an A330 widebody aircraft annually since 2010. With Malaysia Airlines as the preferred operator, AVC has to-date mounted a total of fifty-seven (57) charters with MAB to Japan, including the 6 flights for 2018. Flying by chartersfrom Kuala Lumpur to Okinawa and Hokkaido has its merits as the flights provide the convenience of a directservice to the destinations with no time wasted on layover or change of plane, enroute. Passengers will also receive better attention and service both on the ground and onboard the aircraft as well as the exclusive and renowned inflight service of Malaysia Airlines. 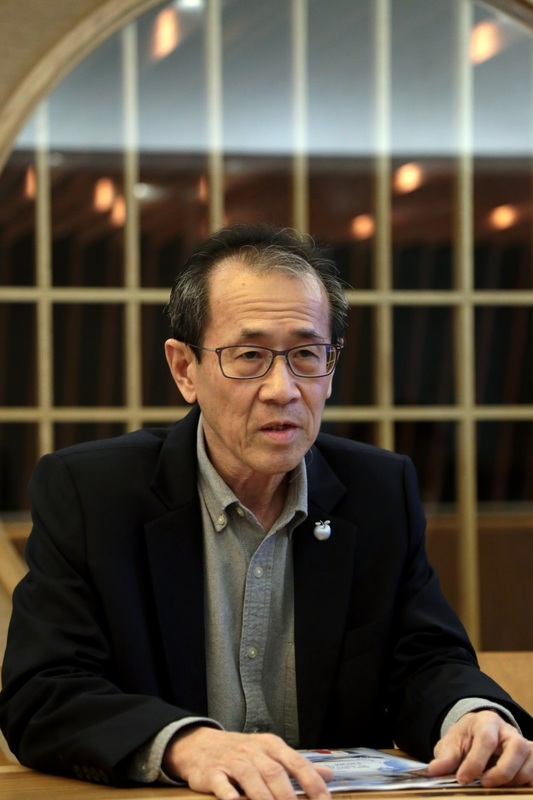 For the 2018 ITC Program which is AVC’s ninth year of continuous charter operations, AVC will have one direct service to Okinawa in November 2018 and five direct services to Hokkaido in December 2018, offering a selection of Premium and Standard packages of 6days/4nights and 7days/5nights itineraries to Okinawa and Hokkaido, the two most sought-after destinations in Asia. Okinawa comprises hundreds of the Ryukyu Islands and these islands extend southwest from Kyushu, which is the southwestern part of Japan’s four main islands. Okinawa’s capital, Naha, is in the southern part of Okinawa Island. The Shuri Castle, which is a registered UNESCO World Heritage Site, is situated in Naha. The entire prefecture of Okinawa is famous for its warm climate and beaches. Some of the more popular ones are Tropical Beach, Araha Beach and Kadena Marina Beach. Okinawa is the best place in Japan for watersports and the Okinawa archipelago is known as one of the world’s best diving destinations. Hokkaido is an island at Japan’s northern extremity and a region with an abundance of natural beauty. It is an extensive land, accounting for 22% of Japan’s total land area. Low humidity makes the summers pleasant, while in winter you can enjoy winter sports. The island is a favourite tourist destination throughout the four seasons. Tourist attractions include the Daisetsuzan National Park, which forms the roof of Hokkaido; the secluded Shiretoko Peninsula; Kushiro wetland, home to many precious living things such as Japanese cranes; Shikotsu-Toya National Park, which is full of volcanoes and lakes; and the ever-changing Shakotan Coast. There are also numerous hot springs, like the Noboribetsu, Jozan-kei and Sounkyo, where you can enjoy a leisurely bath to help you get over the fatigue of your journey. The Sapporo Snow Festival and Mombetsu Ice Floes Festival are held in winter. In summer enjoy the Furano Lavender Festival, as well as port festivals in every coastal town held to pray for a good catch and safe fishing. 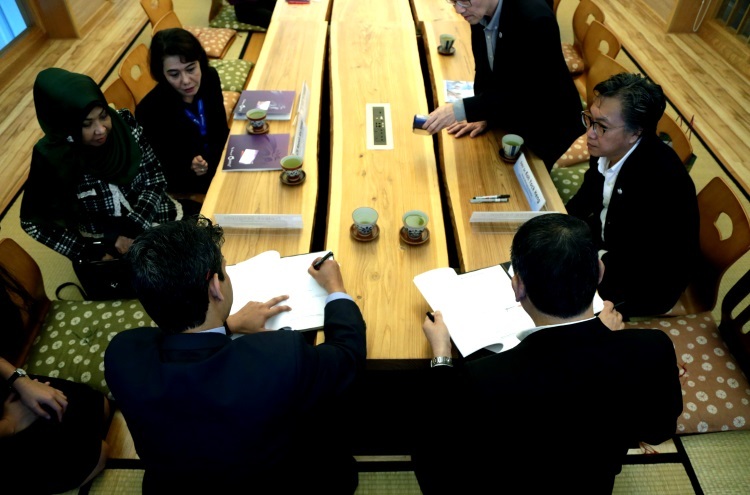 Hokkaido boasts of over 1,200 festivals and events held throughout the year. It was a pleasure to be able to arrange and host the agreement signing at Wisma Apple with Malaysia Airlines Berhad (MAB) team to operate its Inclusive Tour Charters (ITC) to the ever-popular destinations of Okinawa and Hokkaido this afternoon. Executive Charter Tg Azira Tg Ghazali .